I've never been very good at making sense of the way I feel about things, unless I'm writing, so I figured I would give it a try. Losing a team mate is more than just losing a training partner it's like losing part of your family. Essentially it is. You spend so much time with them drilling and training but also talking about your life and theirs. 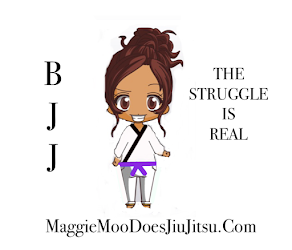 Jiu Jitsu makes people quite close, you have to be, as it is an art that is based on trust. Recently a team mate of mine passed away. I learned a lot from Orlando in the short amount of time I knew him. Most importantly I learned exactly how I deserved to be treated and how I should treat others. He was encouraging for my game and essential in helping me develop in my early stages of Jiu Jitsu. I looked forward to the Sundays where he would come down to train with us. He would greet me with a fist bump and a joke about my non-existent cauliflower ear (although he insisted it was coming and would match my boyfriends ear). He was always there offering kind advice, selflessly helping others and giving you the benefit of the doubt...no matter who you were. If that didn't work he was more than prepared to school you with some of his sarcasm and his sense of humor. It might have been my favorite thing about him. Being around him felt like being around the type of person you knew you should be. He was the best ambassador for the sport and he was an even better friend. After I had a rough loss at a competition he was the first to come up and say "I saw you tried that choke I taught you, you failed wonderfully. I'm so proud!" He was so funny and he knew just what was needed. It is rare that we know what to say in times when people most need to hear it but Orlando had it down to science. I do not. I wish that I did. For others who are hurting and need to hear something, there are no easy words. He was a special person and a big part of our team, so it's no wonder people are feeling so empty. All I can say, is that we are pretty lucky to have known Orlando at all and even luckier that we have the opportunity to live in a way that honors his memory and his legacy. 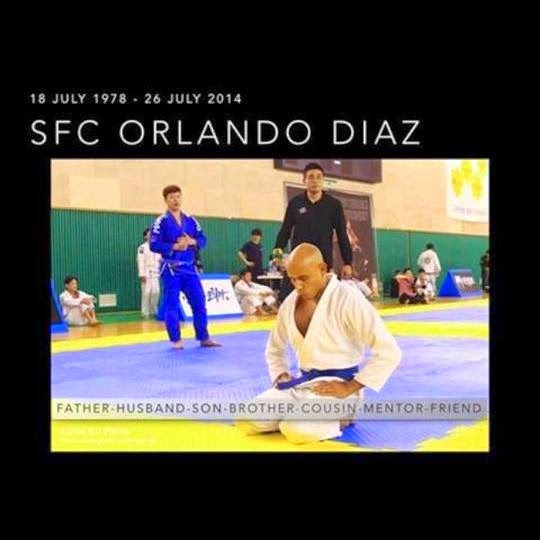 I think I can speak for everyone when I say I am happy to have had him in my life and I am forever grateful to have been one of the many people who were able to call him United Forces Brazilian Jiu Jitsu Family. Hope they have D&D, character cupcakes and softer mats in heaven, brother! Until we meet again. Oss! This was well said. You captured my brother's character beautifully. I'm just grateful to have had the opportunity to know him!